A claustrophobic close-up of a body, the light bouncing off the skin of an unidentified figure. This is how the film introduces us to Marvin, an aspiring actor and someone whose work is directly influenced by his upbringing. Anne Fontaine’s coming out film has its feet planted both in Marvin’s past and his present. We’re instantly thrust into his childhood and school-life as he struggles with homophobia, sexual abuse and his dawning homosexuality in working class small-town, Vosges. 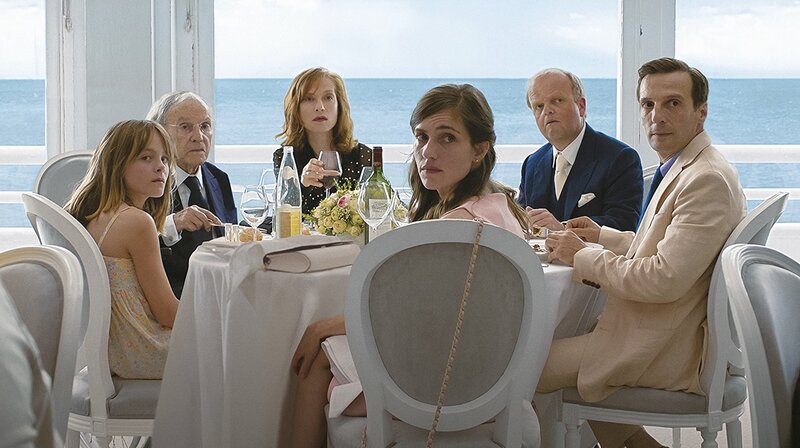 Earlier this year, Michael Haneke lost out on a possible third Palme D’Or for his latest film, Happy End. In the hothouse and often clubby critical atmosphere of the festival, some commentators dismissed the film as a “greatest hits” package. The big prize was won by Ruben Östlund for The Square, a younger director who shares Haneke’s preoccupations with modern anxiety, the shaky moral and intellectual foundations of Europe’s neo-liberal middle class and how rationality is often undermined by self-interest. In recent years, Haneke’s films – particularly The Piano Teacher, Hidden, The White Ribbon and Amour – have achieved the kind of critical attention and more than respectable international box office enjoyed by the likes of Fellini, Antonioni and Bergman in their sixties heyday. This success of these films is remarkable given their chillingly unrelenting examination of man’s battle between social piety and raw desire.